Former UGA running back Todd Gurley has signed with JAY Z’s Roc Nation, the full-service entertainment company announced today. Roc Nation was founded in 2008 by JAY Z. In 2013, the rapper founded Roc Nation Sports, their sports management division. A few current clients of Roc Nation Sports include Robinson Cano (MLB), Victor Cruz (NFL), Dez Bryant (NFL), and Kevin Durant (NBA). Todd Gurley is currently rehabbing a torn ACL he suffered against Auburn on Nov. 15. In his three seasons in Athens, he rushed 510 times for 3,285 yards (6.44 ypc) and 36 touchdowns. He also caught 65 passes for 615 yards and six TD’s. 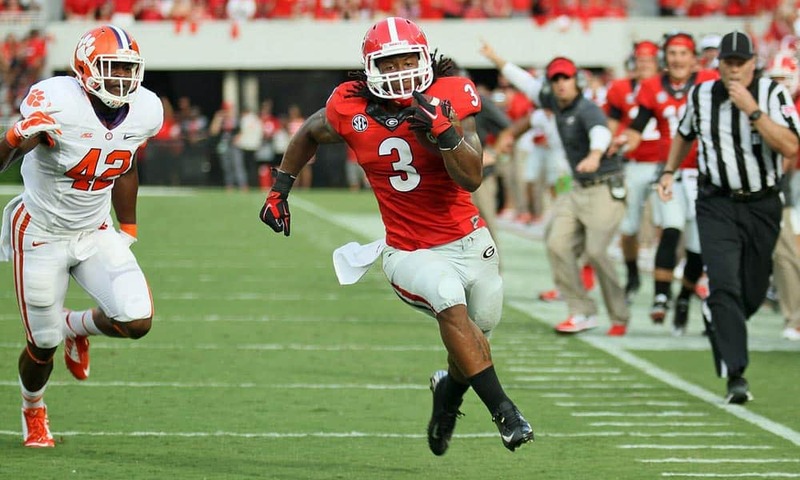 Although injured, Gurley is still expected to go in the late first round or second round of the 2015 NFL Draft. The draft runs from April 30 through May 2 in Chicago. Before signing with Roc Nation, Todd Gurley signed with Bryan Allen. What, still too soon?